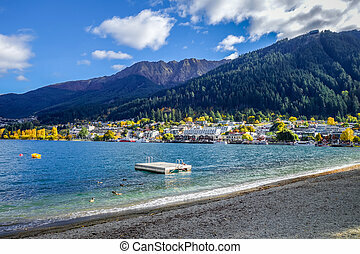 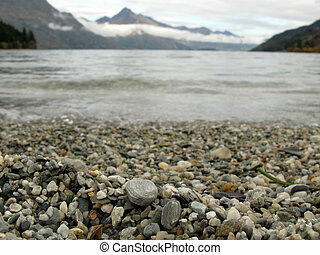 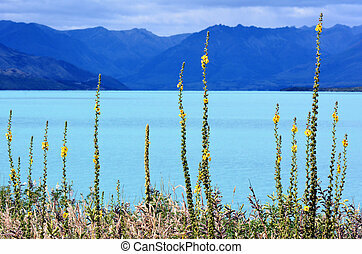 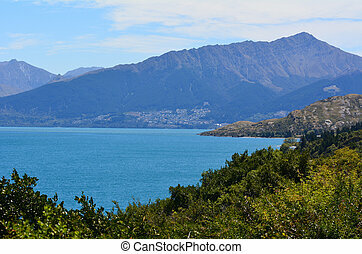 Lake wakatipu new zealand nz nzl. 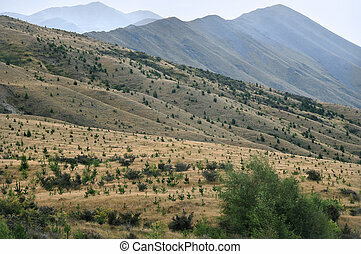 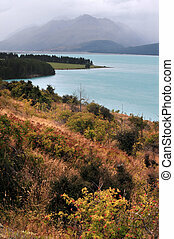 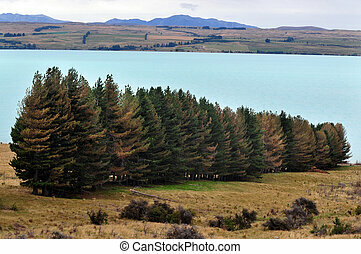 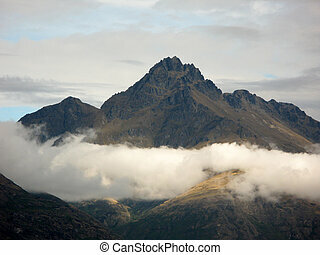 Landscape of high range above lake wakatipu near glenorchy in the south island, new zealand. 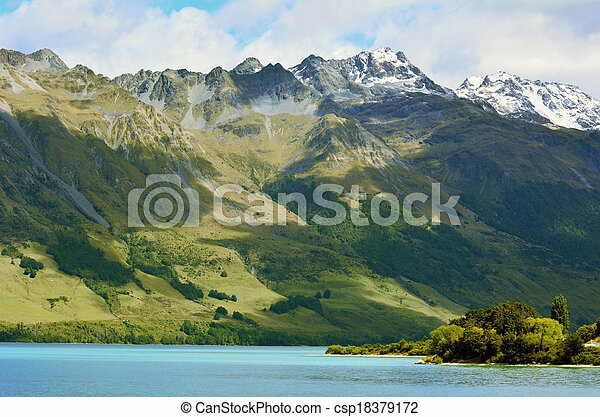 Landscape of high range above lake Wakatipu near Glenorchy in the south Island, New Zealand. 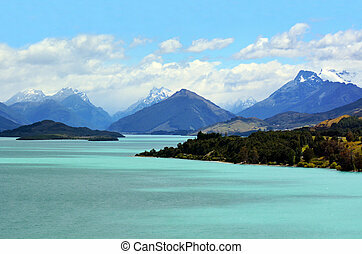 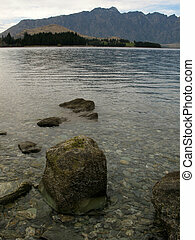 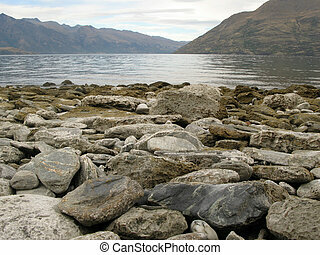 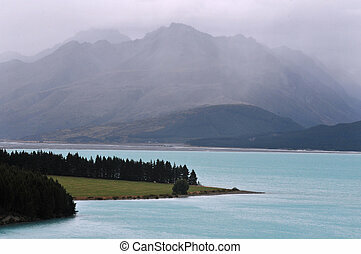 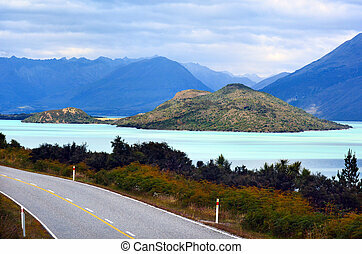 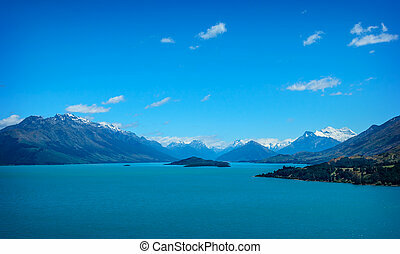 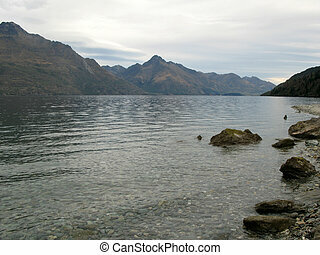 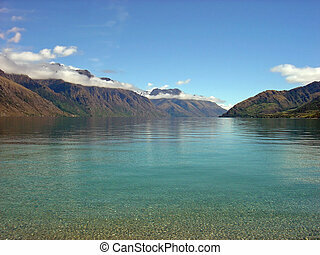 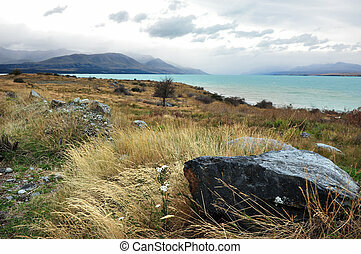 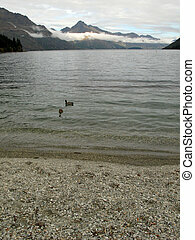 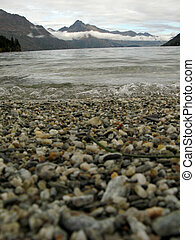 Landscape of lake Wakatipu near Glenorchy in the south Island, New Zealand. 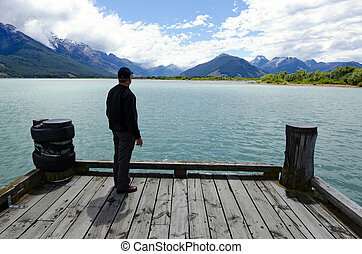 Man walks on Glenorchy wharf, lake wakatipu New Zealand. 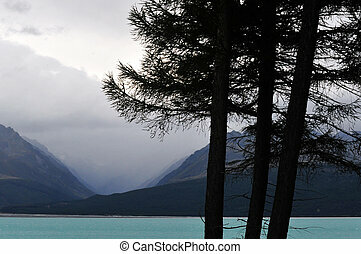 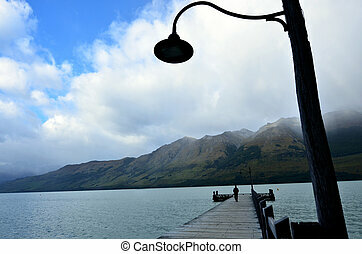 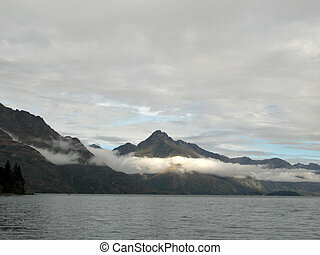 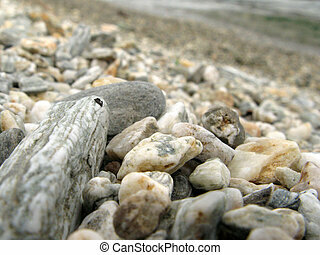 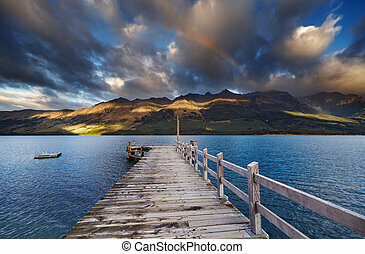 Man looks at dramatic mountains landscape from Glenorchy wharf, lake wakatipu New Zealand. 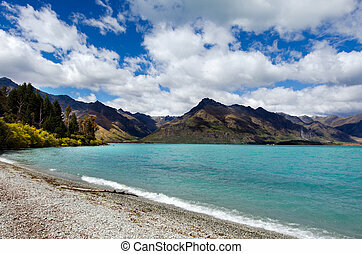 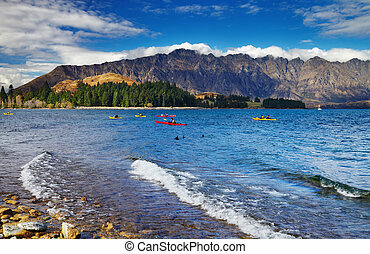 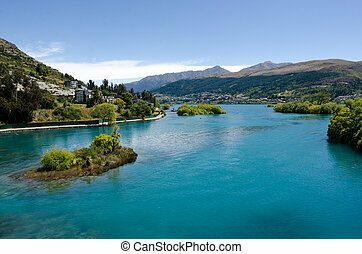 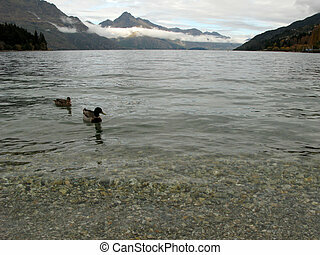 Lake Wakatipu near Queenstown, Otago New Zealand.